The first hole on the Loop's Black Course (clockwise) is a 434 yard par 4. The second at The Loop's Black course is a 146 yard par 3. The third on the Loop Black (clockwise) is a 406 yard par 4. The fifth at The Loop Black (clockwise) is a 164 yard par 3. The sixth at the Loop Black (clockwise) is a 483 yard par 5. The seventh at The Loop Black is a 296 yard par 4. The eighth at The Loop Black (clockwise) is a 120 yard par 3. The tenth at The Loop Black (clockwise) is a 546 yard par 5. The eleventh at the Loop Black is a 397 yard par 4. A view from the fairway on the Loop Black hole 11. The twelfth at The Loop Black is a 321 yard par 4. The fourteenth at The Loop Black (clockwise) is a 430 yard par 4. The fifteenth at the Loop Black (clockwise) is a 179 yard par 3. The sixteenth at The Loop Black is a 393 yard par 4. A view from the fairway of the Loop Black's 16th hole. 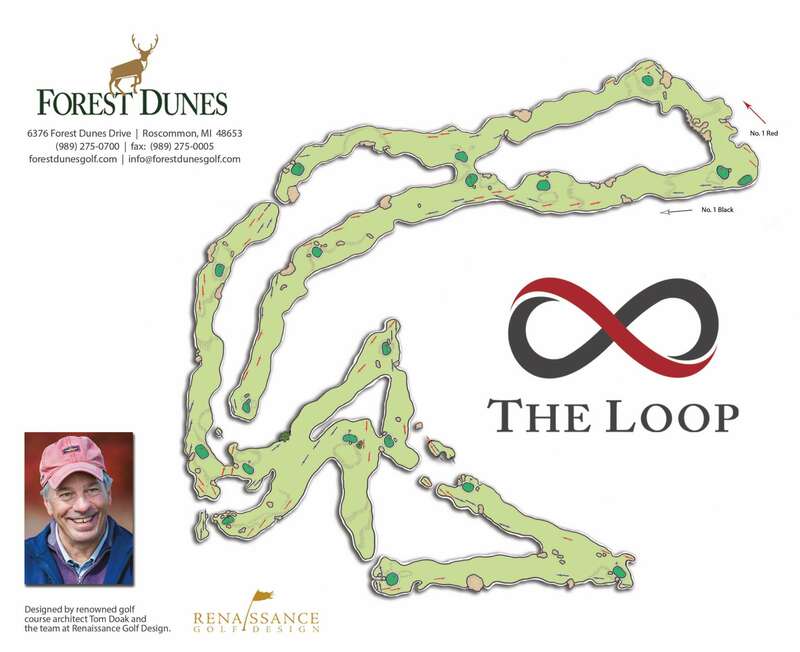 The seventeenth at The Loop Black is a 491 yard par 5. A view of the green on the Loop Black hole 17. The eighteenth at The Loop Black (clockwise) is a 329 yard par 4.